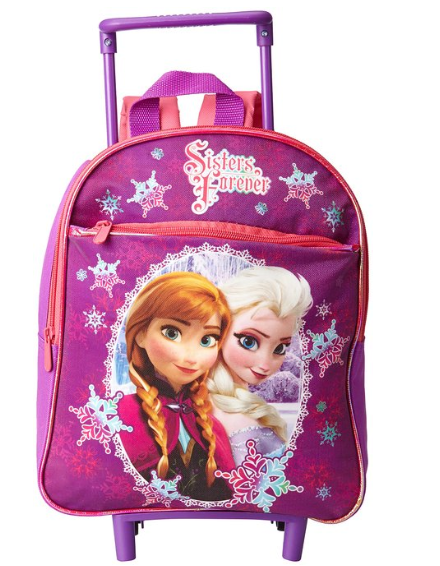 Disney Frozen Anna Elsa Stars ROLLING Backpack Only $18.99 SHIPPED (Reg. $30)! You are here: Home / Great Deals / Amazon Deals / Disney Frozen Anna Elsa Stars ROLLING Backpack Only $18.99 SHIPPED (Reg. $30)! My daughter has been begging me for this backpack with wheels, so I’m super excited about this deal! Right now we can snag this cute Disney Frozen Anna Elsa Stars ROLLING Backpack for only $18.99 (Reg. $30)! This is slotted to arrive before Christmas at the time of the post.